Last night and early this morning, officers patrolled Orange County cities and unincorporated areas for children ages 17 and under out in public past curfew, in violation of city laws. Curfews in Orange County begin at 10:00 p.m. or 11:00 p.m., depending on the city, and last until 5:00 a.m. the following day. Minors are prohibited from being in public during these hours unless they are accompanied by a parent or guardian or are subject to circumstantial exceptions made for minors participating in employment, educational, or emergency activities. The on-duty teams conducted the sweeps during regular patrol at no extra cost to taxpayers and found 31 juveniles in violation of curfew ordinances. The curfew sweeps focused mainly on areas with a high volume of gang and/or criminal activity and all gang injunction Safety Zones. The minors found in violation of curfew laws were taken in police cars to law enforcement headquarters and held until their parents arrived to pick them up. 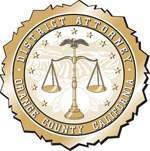 Before releasing the juvenile to their parent, the juvenile and parent were required to meet with representatives from the Orange County District Attorney’s (OCDA) Office and other participating law enforcement agencies to discuss the dangers and legal consequences for both the parent and child who violate curfew laws. The legal consequences of violating curfew laws could include misdemeanor criminal prosecution with penalties ranging from fines up to six months in jail for the parent, juvenile hall for the child, plus the associated financial costs. The juveniles and their parents also met with probation officers for references to resources such as parenting classes, substance abuse treatment and family therapy. The OC GRIP curfew sweeps were hosted by the OCDA, Orange County Sheriff’s Department, Orange Police Department, and Orange County Probation Department. The participating agencies included police departments from the Cities of Anaheim, Buena Park, Costa Mesa, Fountain Valley, Fullerton, Garden Grove, Huntington Beach, La Habra, Newport Beach, Placentia, Santa Ana, Tustin, Westminster, and Santa Ana Unified School District Police Department. Community Service Programs, Inc. is a community partner for these sweeps and Chick-Fil-A of Orange generously donated food and drinks for this event.